VOCAMERICA is a fan-run, certified VOCALOID project. Created by EmpathP, their goal is to give Western VOCALOIDS more of a spot in the limelight. VOCALOID is a software developed by Yamaha that takes pre-recorded vocals and combines them with synthesizer technology, which VOCALOID producers (like EmpathP) can use to create music with a unique sound. Each unique voice (called a voicebank) is given a name and is typically associated with a mascot. During VOCALOID concerts, these mascots are projected onto a holographic screen, where they dance and sing along to their music. While there are many VOCALOIDS, the most well-known one is probably Hatsune Miku. However, the VOCALOIDS that are a part of VOCAMERICA sing mainly in English rather than in Japanese. Charles Dunbar is a consummate fan. And they never expected their fandom to become such a huge part of their life. After deciding (on the road back from a con, no less) to study con culture back in 2008, they have spent the next decade of their life devoted to not only Japan (and its history, monsters, and culture) but to building their own base of knowledge from which they can draw and teach others. Since then, they have lectured at over 250 cons, libraries, and universities on all manners of fandom, history, culture, and folklore, and anything else that strikes their fancy, in hopes of bringing new perspectives and points of view to the appreciation of Japanese animation, and everything else associated with it. 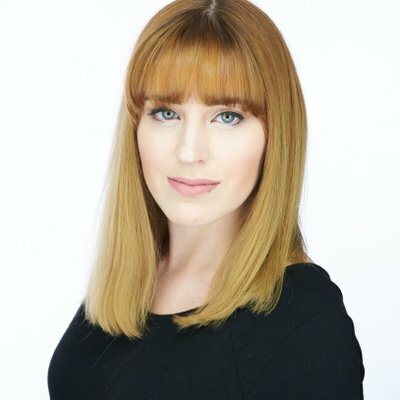 Megan Shipman is an American voice actress best known for her roles as Yuzuru in Date a Live, Yuzu Aihara in Citrus, Aoba Suzukaze in New Game, Chisato in Tsugumomo, and Arisa Meigo in A Certain Magical Index: The Miracle of Endymion. She'll be hosting a handful of panels this year at Zipcon, as well as signing autographs.